Retainers | Origami Orthodontics | Land O' Lakes, Lutz, Odessa, Wesley Chapel, and Trinity, FL. Skip to content Created with Sketch. Retainers are wonderful appliances used to keep teeth in their new, straight positions to ensure your smile remains looking it’s best for years to come. After your braces come off, Origami Orthodontics will outfit you with a retainer that fits your specific needs to preserve your alignment. Orthodontic retainers are made of plastic or metal and can be fixed or removable. Origami Orthodontics offers different style retainers depending on what your case requires and your aesthetic goals. All types of retainers are vital to the orthodontic process to keep your teeth in their proper alignment as your gums and bone adjust to the new position. Teeth can relapse if a patient does not wear their retainer as mandated, so pay careful attention to the instructions! 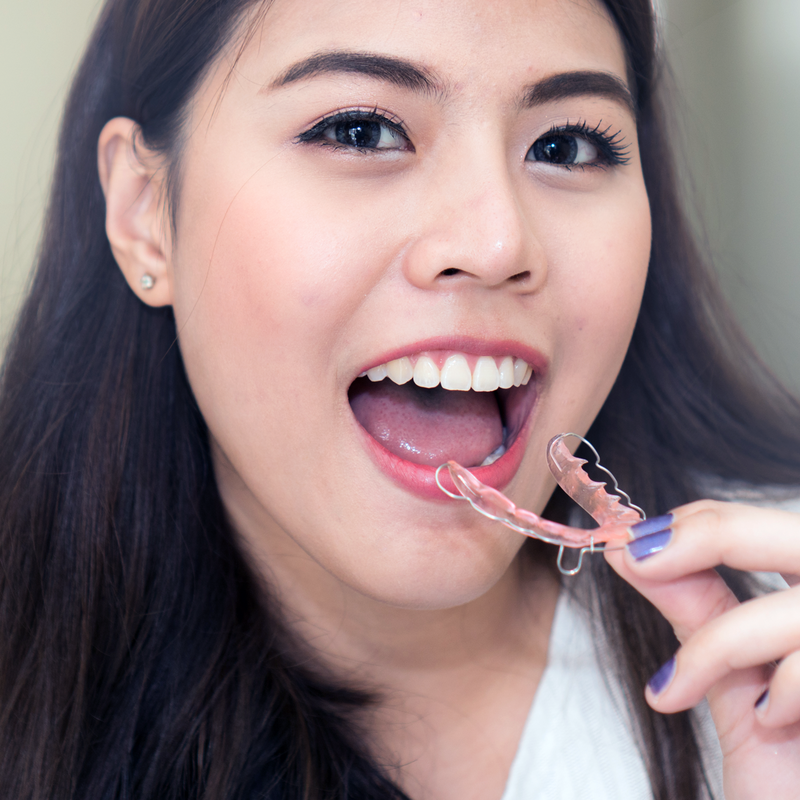 It will take a few days for your mouth to become adjusted to the retainer, but after this period, your retainer should not cause any discomfort or pain. Retainers are an excellent treatment to keep your smile looking as beautiful as the day your braces come off. Schedule your free evaluation with Origami Orthodontics to determine if traditional braces are right for you. Located near the intersection of Suncoast Parkway and State Road 54, our practice is conveniently accessible to families living in Land O Lakes, Lutz, Odessa, Trinity, and Wesley Chapel, FL. Origami Orthodontics provides orthodontic services including braces and Invisalign (clear aligners) to children, teens, and adults.